Star Wars, Lord of the Rings, Harry Potter, Dune... What do they all have in common? They are all epic. The word conjures up a large canvas, many characters, heroic deeds and sacrifices, triumph in the face of evil... it rouses us to read on and on, or wait impatiently for the next film or episode to be released. But what makes a book or film series epic? Whether it is Middle Earth or a distant galaxy, the feeling is that the landscape we are exposed to is vast. 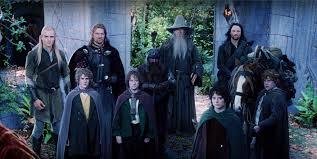 It is not enough to be hinted at, we must go there, whether in scenes or chapters. We must feel like we have travelled the length and breadth of the known universe being depicted. This means that the hero and other characters must themselves travel, since we experience through them. 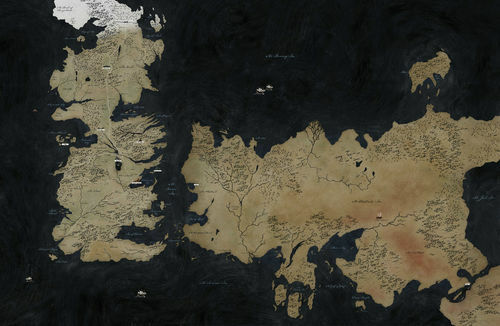 A good example of a current large canvas is the various countries depicted in Game of Thrones, whose opening credits are always a joy to behold. This means there must be internal coherence - the way characters (including aliens or angels) act and react must make sense in their world. At least some of the characters should come from cultures that are different to ours - different values, different codes of behavior - otherwise it just feels like a masked ball, the characters are no different to us, just in a different environment, a different backdrop, and the reader/viewer will ask 'what is the point?' In fantasy there may be angels or elves or gremlins, in science fiction there can be aliens with completely different mores and appetites. But their behavior should make sense, it needs to have been thought through by the writer. Culture is very hard to depict, but we are very good at picking up on it, and learning how it works. As well as the culture, there needs to be attention to detail concerning the environment and artifacts used in the story. The best way is always to have these, no matter how outlandish, seem normal to the indigenous people in the story, much as we now take smart-phones for granted even though they would have seemed miraculous just twenty years ago. Even if you wouldn't want to live there, the locations - at least some of them - should seem fascinating, and worth saving. If the world depiction is too depressing or dystopian, one may wonder if it is worth bothering about. Often this means the people or fantasy/alien creatures (again, at least some of them) must be worth saving. 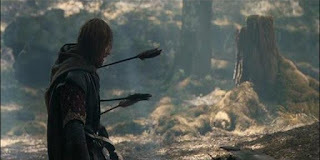 One of the most striking/sad points for me in the Lord of the Rings series was when the elves went to help mankind at the siege of Helm's Deep, and so many of them fell in battle. They were better than us, nearly immortal but gave their lives for us. A nice example of non-human heroism, of nobility. Epics often start small: an outback farm on a hinterland planet; the Shire; a cupboard under the stairs in a small house in a London suburb; a palace on the ocean planet of Caladan. Once the central character is established, a major event pulls them out of their world into a larger arena. 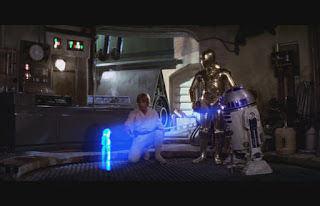 Luke Skywalker triggers a message from the drone R2D2; Frodo is entrusted with the ring by Gandalf when Bilbo Baggins tries to disappear with it; Harry meets Hagrid and discovers he is a wizard; Paul Atreides goes to Arrakis where his father is killed and he flees into the desert. 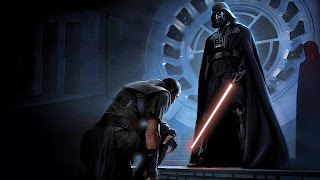 By starting small (even if there is a prologue or first scene in the larger canvas, showing or foreshadowing evil), we can identify with a relatively 'normal' character and feel 'grounded' rather then bewildered and thrown straight in the deep end. Once grounded, we are ready to venture forth. This means that the reader/viewer goes on a trip through the landscape the writer has painstakingly developed. Ideally it radiates outwards slowly, Lord of the Rings being the perfect example, Star Wars - which sometimes zips about in a dizzying fashion - less so. 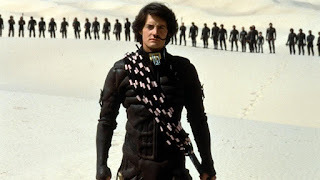 The Dune series is a monumental example (particularly later on), with whole books devoted to the different cultures and planets that make up the Dune universe. It is hard to be epic if there are few characters. Also, since the landscape is vast, it will be tedious if the hero has to do everything alone. Therefore, usually there are other characters who are helping the hero, and several factions working against him or her. The trick then is to have a sufficiently large cast to make the plot work, without overwhelming the reader/viewer ("who's he again?"). Again, Tolkein did this explicitly by creating the Fellowship of the Ring, though of course there are many other characters on both sides who are worthy of note. One is not enough. There is the villain who is there most of the time (e.g. 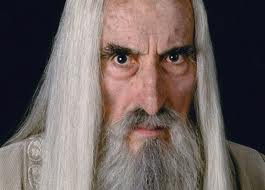 in Lord of the Rings, Saruman, played by the late and great Christopher Lee), and the more sinister villain in the background, who we often don't see until later on or even at the end (Sauron). For Harry he has enemies to begin with, but as the series develops it becomes Voldemort, who was behind everything from the start. For Star Wars it is Darth Vader, then the Dark Lord lurking in the background. Given that the stakes will be high, there has to be loss. A 'soap' - and many if not most scifi or fantasy TV series fall or at least trespass into this category - is not an epic. Secondary heroes (not the main one, except in Game of Thrones), must pay the ultimate price. A lot of fantasy bends this rule (Lord of the Rings did not), but if it all ends 'happy ever after', again, it is not truly epic. Harry Potter is good at this especially in the closing sections where a good number of his allies are culled. Bravo Ms. Rowling! 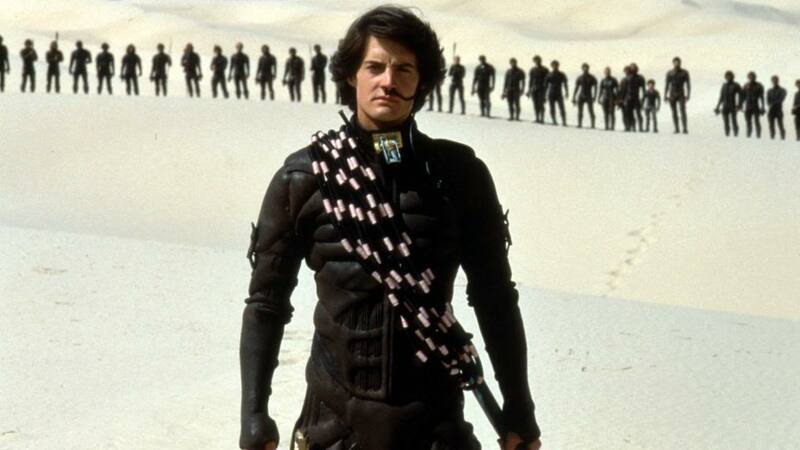 Plenty fall in Dune through the course of the books, less so in Lord of the Rings and Star Wars; but there is loss. This one is less clear, though I'm in favor of it. 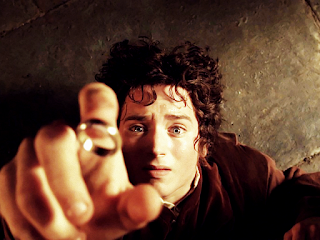 In Lord of the Rings, Samwise goes back to the Shire, even if Frodo can't. 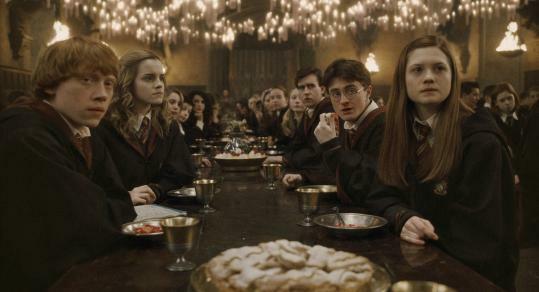 Harry Potter gets married and takes up 'normal' wizarding life. For Star Wars and Dune it's less clear, and the former is not done yet in any case, with Episode 7 out soon. But for me this offers the best closure, enabling me to put the book down again and come back to normal life, or leave the cinema seat and venture out into the real world . Of course the origin may have changed dramatically, but still, there is the idea of returning home in some shape or form. In my own Eden Paradox series, I followed these ten rules, particularly the spiraling landscape, with successive books enlarging the universe into which humanity was rudely ushered. Of the four masterpieces I've been focusing on, probably Lord of the Rings and Dune are my strongest influences. Maybe in another lifetime I can write that well. And in the meantime, I'm continually on the lookout for new 'epic' adventures, which means so much more than cool CGI and 3D, or seven hundred page tomes where 'a lot happens to a lot of people'. An epic should be a terrific story with resonating characters, a story that makes us proud to be human, makes us want to do our bit to change our world for the better, to be more like the imagined world we've just been inhabiting.